Red Lanterns. 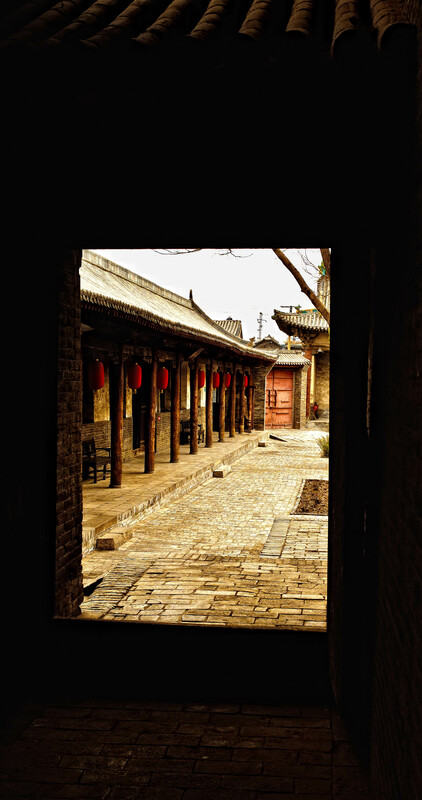 An image taken in Ping Yao Ancient City, Shanxi Province, China, one of the many inner courtyards which usually contain gardens or recreation areas. The ancient Chinese sometimes captured fireflies in transparent or semi-transparent containers and used them as (short-term) lanterns. Raise the Red Lantern, a Chinese film, prominently features lanterns as a motif. Lanterns are used in many Chinese festivals. During the Ghost Festival, lotus shaped lanterns are set afloat in rivers and seas to symbolic guide the lost souls of forgotten ancestors to the afterlife. During the Lantern Festival, the displaying of many lanterns is still a common sight on the 15th day of the first lunar month throughout China. In Chinese festivities, the kongming lanterns can be seen floating high into the sky during festivities. I REALLY love this image, great POV and the textures, colors, and contrasts work so well together. gorgeous image. Agreed with Stan. This shot is amazing.